Built 1928-1930 by Jindrich Freiwald. Named in honour of the Czech author and playwright, Alois Jirásek (1851-1930). 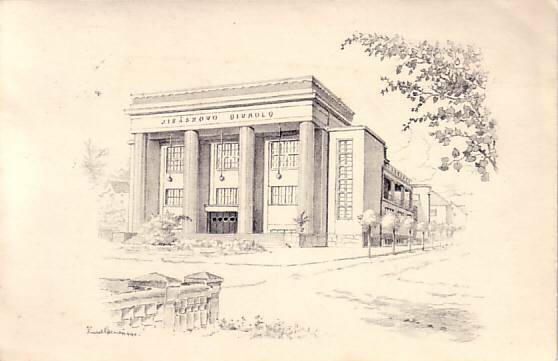 Since 1931, used for performances by Europe's oldest amateur theatre festival "Jiráskuv Hronov" [Jirásek's Hronov], and for theatre performances throughout the year. 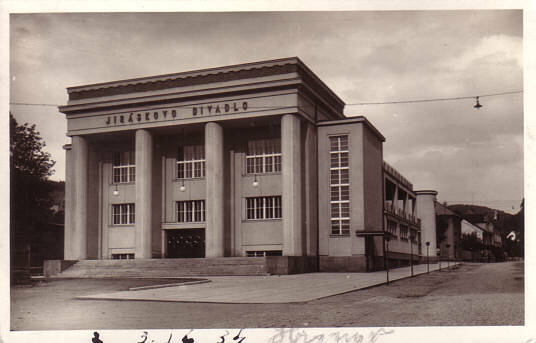 Front Text: inscription: "Jiráskovo Divadlo"
Reverse Text: "Hronov - Jiráskovo divadlo"
Reverse Text: "Prof. J. Benes: Hronovské Pohledy. 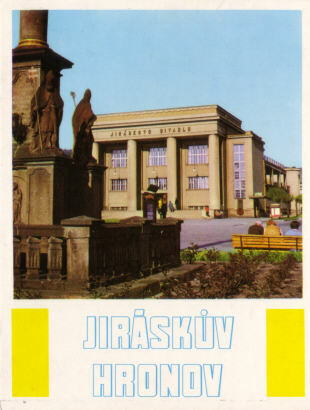 Jiráskovo divadlo"
Front Text: "Jiráskuv Hronov", inscription: "Jiráskovo Divadlo"